Reel mowers can be collectors items if they are rare and in good condition. To find the value of a Great American reel mower, locate other similar mowers and see what kinds of prices they command. 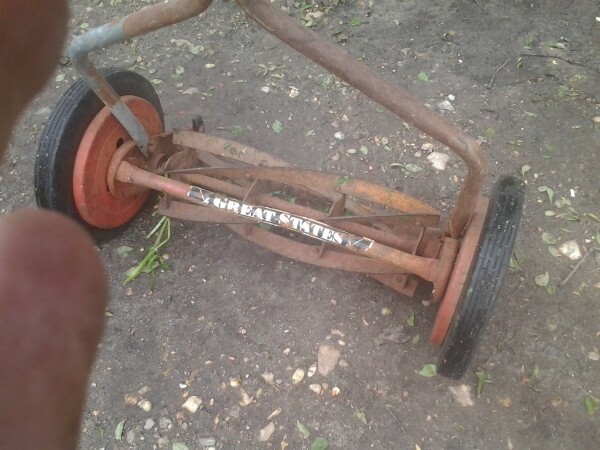 How old is my Great States mower? Does it have any value? 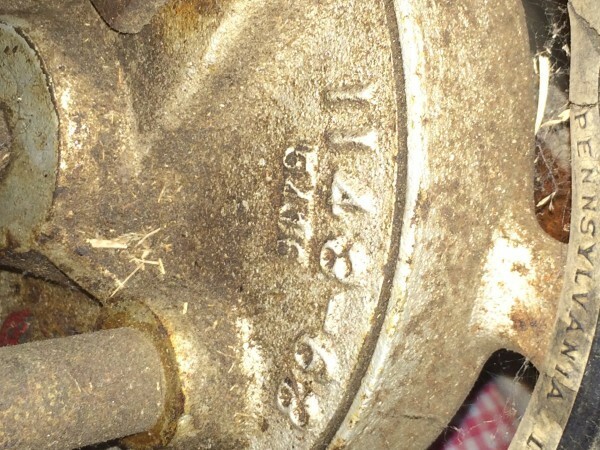 Sometimes these mowers can be dated by a model number so you should look all over the mower for any numbers, sometimes they are on the wheels. There is no list that I have found stating what numbers were for what years but usually the last two numbers is the size of the cut - 16", 18". It is difficult to tell what age your mower may be as the newer mowers look almost identical and yours may have just been left outside and is now showing "age" signs from the weather. 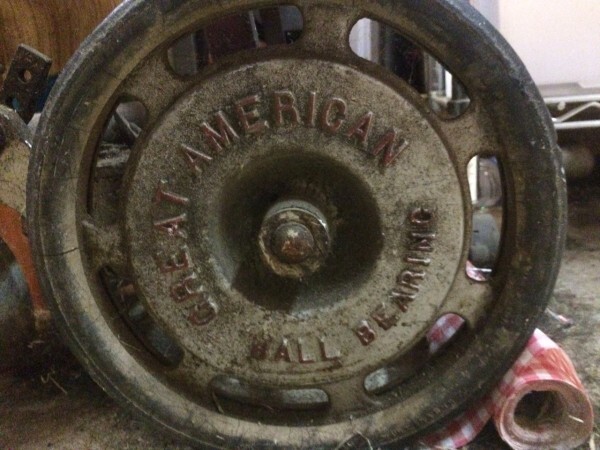 Value more often is determined by the brand (some are more collectible than others), age, condition, original paint/parts, and to a very big degree by the area where it is located. The area/city is important because not very many people will pay for the costly shipping this type of item would cost. 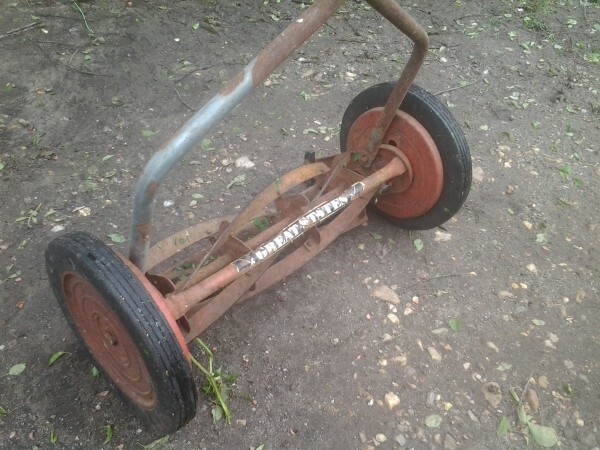 You can check on your brand mower on eBay and Amazon but it will be difficult to pin point as most of the Great States reel mowers all look about the same. 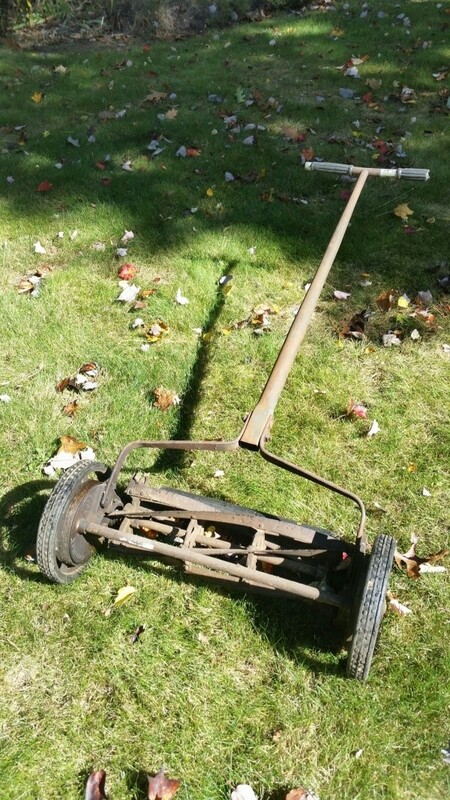 Some vintage mowers are selling for $30-$60 but sellers usually have "pick up only" on their listing so that just means it is being seen mostly by people in their own area. You should also check your local Craigslist as this is many times where stuff like this is listed (no shipping). 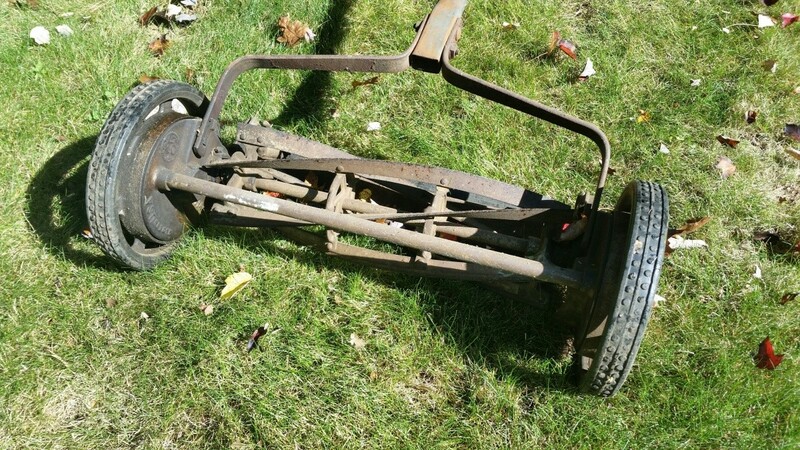 Craigslist is also a good place for you to list your mower if you decide to sell it. Start your price high and lower it if no one shows an interest. Here are some mowers presently listed on eBay but I cannot tell the age of these mowers except the #415-16/18 is a newer mower. 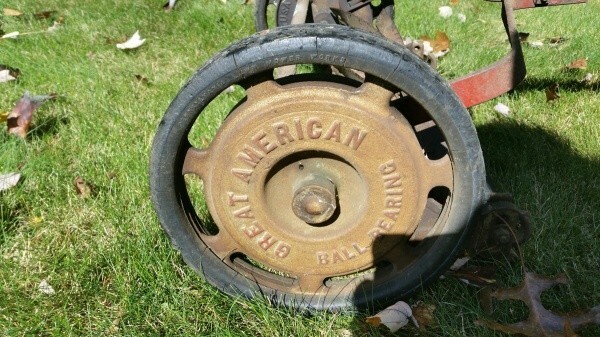 I have a Great American reel mower that we inherited from my wife's grandmother. The only number I can find on it 1143-68 and under that is 5416. I am curious to know the time period when it was manufactured and its value. I have the same one. Mine says 2-25-53 for the date on the inside right wheel. 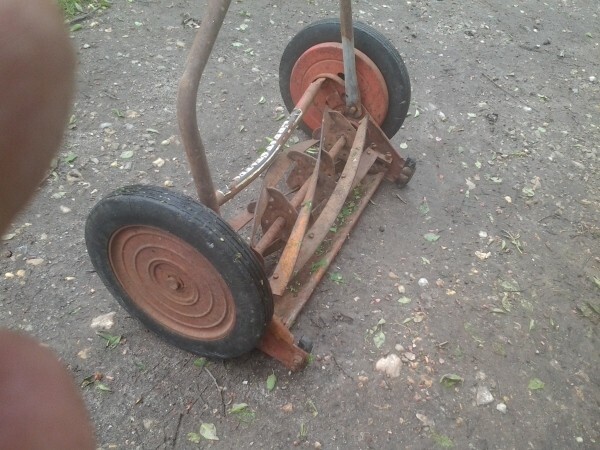 I have a Great American reel mower that works fine. I am looking to find the value if that can be determined by the picture. Neat mower!! I love the look of the old pushers! There is a mower on eBay now that looks similar. If you feel it is an EXACT match, you may want to watch it and see what/if it sells and for how much. There are not any SOLD listings that I can find in the recent past that are matches to yours. Finding SOLD items that are EXACT matches for style, model, condition etc. is THE ONLY way to determine true value (which is what someone will actually PAY for an item). Selling mowers online is a huge challenge (hard to pack, high shipping costs, danger of getting smushed) unless you do have someone pick it up and then that limits your audience. Hope this can get you started putting a value to it.